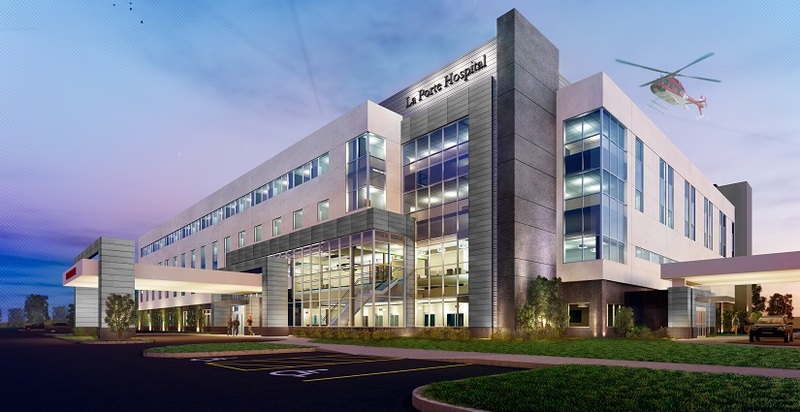 La Porte Hospital is currently in the process of building a new, state-of-the-art facility set to open in 2020. Most of the LP Hospital is old and outdated. The infrastructure of the building is in need of many new updates. Rather than fixing the old, building a whole new building would be significantly more cost effective. “One elevator has been broken for nearly 6 months now. The fix would cost us nearly $80,000 for one single part and taking forever to get it built,” Angela Wolfenbarger, LP Hospital employer, said. Employers have not been told about any cut-backs being made with the transfer. The number of beds in the building will decrease, but not less than the amount of patients they see. The workload will remain the same no matter how small or large the building becomes. The La Porte Hospital webpage states they will build a full-service acute-care community hospital that includes the inpatient services they currently offer, emergency services, inpatient and outpatient surgery, cardiovascular services in a heart center setting, critical care, orthopedic services, birthing & family care services, and others, in addition to all of the ancillary support services for these service lines. Also according to the La Porte webpage, the windows will be e-glass, minimizing the amount of ultraviolet and infrared light without compromising the ambient light in the building. They will be energy efficient and placed throughout the facility to maximize daylight in patient care areas. It will take approximately two years before the new hospital is complete. They are scheduled to be open fall of 2020. As of right now, nothing is going in where the old hospital currently stands, but many speculate the land will be used for parking. Many are excited about the new hospital being built. So many opportunities are being opened, and a healthier environment is promising. Sustainability is top of mind for designers as well, with design features giving the hospital the ability to pursue Green Globes certification. “The idea of being able to offer the community a fresh new hospital, new and improved technology, nicer rooms, and all the amenities that cannot be squeezed into a building as old as the current building is what brings joy to the staff at LP Hospital,” Wolfenbarger, said. Also new this year with IU Health was the addition of the Slicer Clinic that helps all LPCSC students. LPHS has a Slicer Health Clinic with a licensed Nurse Practitioner that provides school-based health care and support services to anyone K-12. Information can be found on the LPCSC webpage.